Currently browsing posts filed under "Spending"
The Senate has passed a federal tax increase on private universities and colleges such as Williams. I have always argued that local governance should get more revenue from Williams either through a PILOT and/or a tax on real estate holdings. Dormitories and common eating/ food sales spaces compete with the local economy (rentals and restaurants). They should be subject to local property taxation. Williams and Williamstown are inseparable, and as such, Williams relies heavily on things such as local schools, waste management, police, and fire. Williams relies on the adaptability of the local planning board to make space for growth, and the relative lopsidedness of zoning permits. Who can build and where is a college function in the cultural district. As we like to say, “Rock, paper, college.” Not that there is anything wrong with that! Looks like we are in this one together. 1)How have this year’s lectures compared to those of previous years? 2)What lectures/speakers from the past were particualrly memorable, and why? Comments Off on What Kind of Lectures? I read this article on the Record. I concur with the author on the opinion that “eliminating the campus newspaper subscription is doing a great disservice to Williams students”. 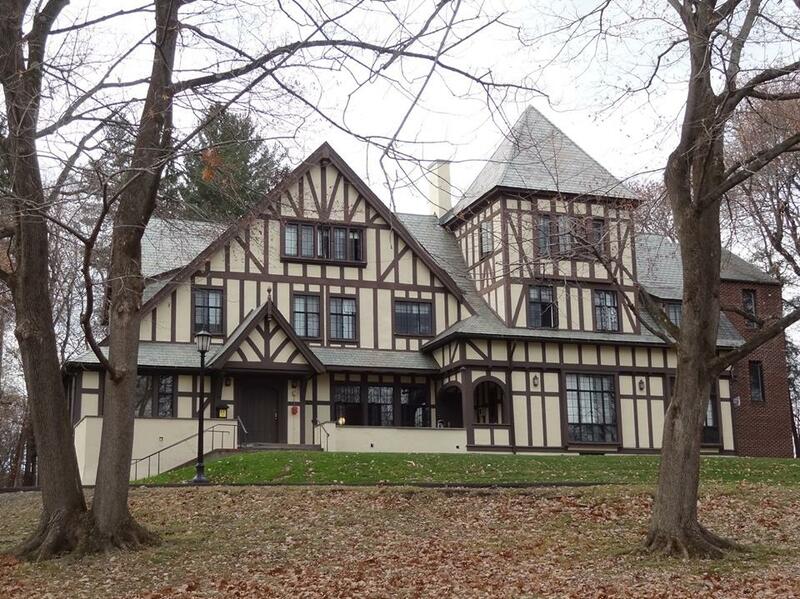 The College seeks a Director to head its newly centralized Office of Communications. Reporting to the Assistant to the President for Public Affairs, the Director will play a key and collaborative role in developing a plan for the College’s main communications, external and internal, and lead a team of nine staff in the plan’s implementation. The goal will be to use a variety of media, especially digital ones, to deepen engagement with the College by all its constituencies. Williams should stop hiring bureaucrats. We have too many as it is. It is not clear that Williams even needs an “Office of Communications” and, to the extent that we do, Jim Kolesar ’74 (and others who currently work for him) is enough. [E]veryone points to an explosion in administrators, while not really accounting for the fact that “administrative staff” includes a lot of critical support staff– most IT departments are classified as administration, for example, as are all the student support services most colleges offer these days– counseling centers, multicultural coordinators, the people who keep track of students with learning disabilities, etc. It’s not all fat salaries for vice presidents– a lot of the administrative budget is stuff that people who complain about “bloat” would hate to lost. Not me. You could get rid of 90% of the non-faculty positions (including this one) that Williams has added in the last 15 years without meaningfully impacting the quality of a Williams education. The vast majority of these jobs don’t contribute anything useful to Williams, even though the people in them are smart and hard-working. To the extent that certain positions are necessary, the faculty ought to fill them as part of their community service. 2) It just 6 months ago that Williams instituted a (generous?) early retirement program. What is the point of spending all the money necessary to convince someone like (the wonderful) Jo Proctor to retire early if you are just going to hire a new person to take her place (more or less)? 3) If Williams were still drowning in a purple river of moola, then wasteful hiring would be less problematic. But Williams has money problems. Our financial aid is no longer as generous as Amherst/Pomona/Swarthmore (much less Harvard/Yale/Princeton). We closed two dining halls, thereby generating significant problems for students simply looking to have dinner. We should spend money on what matters (financial aid, student experience) and not on what doesn’t. 4) The Trustees should not, obviously, be micro-managing individual hiring decisions at Williams. If President Falk thinks that a new “Office of Communications” is just what Williams needs then, obviously, he deserves the freedom to create and staff it. Yet the Trustees have a responsibility to keep an eye on the big picture. Too many (non-faculty) people work at Williams.. The Trustees should demand that, at a minimum, Williams not increase its total employee count. Better would be to (slowly) cut the staff back to 650 people. If Williams was the #1 college in the country in 1999-2000 with 650 non-faculty staff, then we only need 650 today. The search for a new football coach is winding down. The applications are in, all 125 of them, and the winnowing is under way. Williams College athletic director Harry Sheehy said that by the middle of May, a new football coach should be hired. “I’m pleased with where we are right now,” Sheehy said. “We’re down to a half-dozen folks, and we’re trying to figure out who will be interviewed. 1) This is a mistake. Williams is spending too much money and should cut back on hiring, at least until the policy changes in financial aid are reversed. Perhaps there is no need to fire anyone but, when someone quits, we should not replace them unless we absolutely have to. Both baseball coach Bill Barrale and men’s lacrosse coach George McCormack would do a fine job (although Barrale would get my vote). It was only a few years ago that Williams had 20% fewer coaches than it has now. Were those days so horrible, when head coaches covered two sports? Did the students have less fun? Were the games less enjoyable? No. From objecting to the day care center to complaining about Williams giving money to local schools, David again and again shows that he is always willing to first cut things that make Williams an appealing and pleasant place to work. He will then point out that these things are a waste of money because most faculty couldn’t find good jobs elsewhere. His vision is clear, and I can promise you that it would make Williams a far far worse place for faculty, staff, and students. Fortunately, no one who matters takes him serious or even pays much attention. And isn’t that too bad. If Williams had listened to me and avoided wasting money on boondoggles like the day care center or the local schools, then it would have money available for faculty raises this year. Alas, we wasted that money, so now faculty get no raises. Which do you think faculty would prefer: raises or school/day-care spending? As an alumnus who both makes annual contributions and solicits the same from my classmates I would expect the Administration to take a fiscally responsible position with regard to salaries and increases thereon. I have been without an increase over the last 5 years along with all my colleagues with salaries over $75,000. Yet, I am asked to both increase my annual contribution to Williams and seek the same from my classmates. This is something that I willingly undertake to do with the understanding that the faculty are facing many of the same challenges that I and my fellow alumni are confronting each day. I would be far less likely to contribute if my contribution went towards faculty salary increases rather than assisting needy students in realizing the benefits of a Williams education. I strongly encourage the administration to be careful in their deliberations as the alumni are watching. And EphBlog helps them watch. Biggest debate going on behind the scenes at Williams now? Should faculty salaries be frozen a second year. The College is currently looking into ways to accomplish the reduction in spending. “Our approach has been, and continues to be, to reduce expenditures in a controlled fashion such that we minimize the impact on the quality of the education we offer our students, while both ensuring that a Williams education remains affordable to every student we admit and protecting our current employees,” Lenhart said. At last week’s faculty meeting, Lenhart broached several options for bridging the spending gap, including reevaluations of faculty compensation, faculty benefits, the College’s commitments to loan-free financial aid packages, need-blind aid for internationals and spending on sustainability and the Williamstown community. This is in conjunction with the Trustees decision to spend $73 million from the endowment next year as opposed to the $70 that had been planned 6 months ago. So, there is some more money available than folks had expected. 3) The faculty want their raises and, perhaps more importantly, they want an important say in budget issues that affect them directly. If the Record poked around a bit, it could find some faculty who were quite upset about this. Start poking! 4) I think that Williams needs to spend much less money. Cutting high salaries (most of which go to faculty) is a good place to start. At minimum, we need another year of salary freezes, at least for faculty making more than $100,000. A funky roommate named recession is settling in on campuses this fall as colleges and universities slash budgets for virtually everything from salad bars to ski teams. U.S. colleges and universities suffered, on average, a 23% endowment drop in the second half of last year, according to a study by a group of campus business officers. That reduction in funding has set off a scramble to freeze hiring, cut hours and hunker down until the economy improves. WISCONSIN LUTHERAN COLLEGE Lost its political-science major. GEORGIA STATE UNIVERSITY Told faculty and staff to take as many as eight days of unpaid leave. 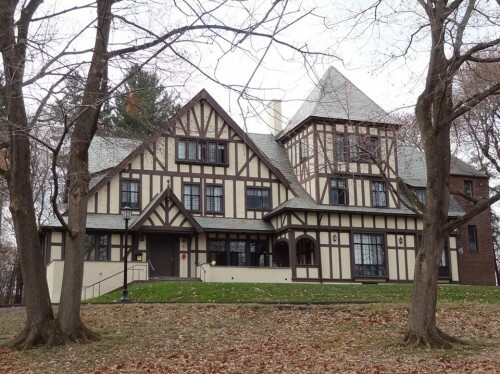 BRYN MAWR COLLEGE Saved $900 when its women’s swim team held a virtual meet against nearby Dickinson; each team’s swimmers raced in their home pool, and then they compared times to declare winners. HARVARD UNIVERSITY Got rid of weekday hot breakfasts at undergrad dorms, saving $900,000. Here’s the rest. Williams has instituted some of the other items already. I wondered why Williams reports $6.3 million in annual spending on athletics to alumni but only $4.2 million to the federal government. Chris Winters ’95, director of institutional research, provides this answer. To understand this difference it is first necessary to understand the purpose of the EADA (Equity in Athletics Disclosure Act). The EADA is a law and accompanying regs, passed as part of the 1965 Higher Ed Act, that requires coed colleges and universities that receive federal student aid (Pell, Perkins, fed work study, etc.) and that have intercollegiate athletics to disclose certain statistics about their athletic programs. The EADA is primarily concerned with gender equity in sports participation and spending. Like most federal mandates the EADA attempts to impose a one-size-fits all set of definitions onto thousands of very dissimilar collegiate athletics program. From my perspective, the EADA definitions are more applicable to large public universities than small liberal arts colleges. For example, the EADA folks always question why we have such little “revenue” from our sports. We have to explain to them every year that, with very few exceptions, we do not sell tickets or charge gate fees to our events, nor do we sell naming rights to stadiums, or do any of the other stuff that brings in direct revenue to many university athletic programs. But I digress, suffice it to say that the EADA’s purpose in life is to capture the cost of fielding intercollegiate teams and no more. Basically, they try to capture the full cost of what it takes to field any given (male or female) intercollegiate team. The main categories of expenses they care about are compensation, travel, recruiting, equipment, insurance, and a handful of others. They do not care about the many other things that you and I might consider to be integral parts of a quality college athletics program but that do not contribute to fielding intercollegiate teams. On the other hand, the $6.3 figure that we report in our operating expenditures table DOES care about all those other things. The $6.3 is the total expenditures that fall under what we think of as the Athletic Department’s bailiwick. In order to tie the EADA’s reported 4.2 million to the opex’s reported $6.3 million we would need to add back things like the Outing Club, Mountain Day, some student wages (lifeguards and monitors and such), the cost of all the new equipment for the recent fitness center renovation (expensed as a one-time blip), and a bunch of other expenses. However, the majority of the difference is in the allocated cost of salaries and wages to the physical education program. For example, if a coach spends 20% of his time in PE responsibilities, then 20% of his compensation is NOT reflected in the EADA total but IS reflected in the opex total. Those are the key differences. Hope that helps. You can have Bolin or you can have crew. You can’t have both. Choose. Premise rejected. He hates one, loves the other, and is trying to make us choose. That’s good rhetoric but crap logic. I will bet David $50 that in the 2011-2012 school year that Williams will have both. Don’t think we can have both? I call BS. Most depressing comment on EphBlog this month? This one from Jeff. In his Record farewell article, Morty mentions — and this shocked me — that a few varsity sports may have to be cut if the economy fails to improve in a few years. You were “shocked” by this? Don’t you read EphBlog? Williams is in huge, huge trouble. How many times do I need to say that? Here is the quote from Morty. Although I do not think that the Trustees are doing enough, they still plan on spending $8.5 million less from the endowment in 2010-2011 then they will this coming year. Look around at the Williams budget. Think it is easy to find $8 million to cut, especially after all the cuts that have already been made? It isn’t. One of the reasons that I have been so adamant about cutting the budget now is because, once you have spent money this year, it isn’t coming back. That money is gone forever. Middlebury just cut spending on crew. 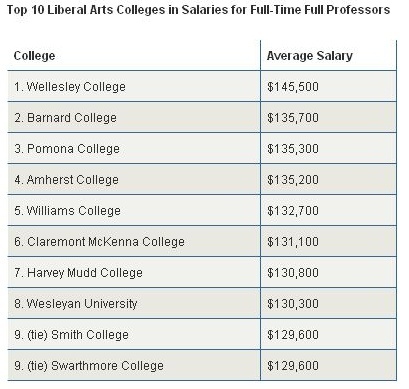 Williams is a richer school than Middlebury but not that much richer. The trade-offs are fairly obvious. Williams spends about $200,000 per year on the Bolin Fellowships. I think that this money is pretty much wasted. (During flush times, I would have preferred to spend that money on Williams professors.) But, even if you think that the spending is valuable, you need to compare it to other things that the College provides, because the recession means that something is being cut. Once you add in coaching salaries and other expenses, crew probably costs somewhere around $200,000 per year. By keeping Bolin for at least one or two more years, we are jeopardizing a year of crew. This New York Times article on college sports spending does not mention Williams, but it does provide for an excuse to look closely at the College’s athletics budget, details of which are available here. Interesting data below the break. Provost Bill Lenhart provides some background on the budget. The $205M budget mentioned [in Morty’s letter for FY 2010] is our “total current expenditures” number which, in addition to employee compensation, financial aid, and managers’ budgets, also includes certain expenditures on our physical plant (so-called capital renewal), interest on debt, and some miscellaneous expenses such as community support. The $205 would be comparable to a figure of $200M (budgeted) or $197.5M (actual) for FY2008. A slightly longer answer is: Our cash-flow-based internal financial planning model provides a different (but useful) view of our finances than does our audited (accrual accounting based) financial statement, although as part of our year-end “closing of the books”/external auditing process the two are reconciled annually. Both approaches have strengths and weaknesses. The differences between the two are many, including how financial aid, gift revenue, interest on debt, gift pledges, the value of the physical plant, reserves to cover “liabilities” such as owed vacation time, sick leave, workers’ comp, et cetera are accounted for. Record reporter Yue-Yi Hwa ’11 adds these details. According to Jim Kolesar, assistant to the president for public affairs, an approximate breakdown of last year’s operating budget is: 50% compensation, 25% managers’ budgets, 20% financial aid, and 5% capital renewal. Those numbers — particularly financial aid and capital renewal — differ slightly, but not drastically, for the $205 million operating budget of 2009-10. Thanks to both for permission to print their comments. First, one could claim that Williams has accomplished meaningful belt-tightening. We are planning to spend much less next year than we did this year without changing financial aid or engaging in lay-offs. Since other costs, like health care, continue to rise, we have been forced to make significant cuts elsewhere. Therefore, Williams is acting with appropriate frugality in response to the economic crisis. Second, one could claim that Williams, while having made some cuts, has done nowhere near enough given the magnitude of the crisis that it faces. In FY 2008, Williams was a very rich school, with a starting endowment of over $1.9 billion. If we are (at least!) 1/3 poorer now, how can we afford to spend even more in FY 2010 then we did in FY 2008? The short answer is that we can’t. And, by avoiding hard choices now, we make the inevitable cuts to come even more painful than they otherwise would be, all so Morty can ride off to Northwestern as the nice guy. Further details and commentary below. 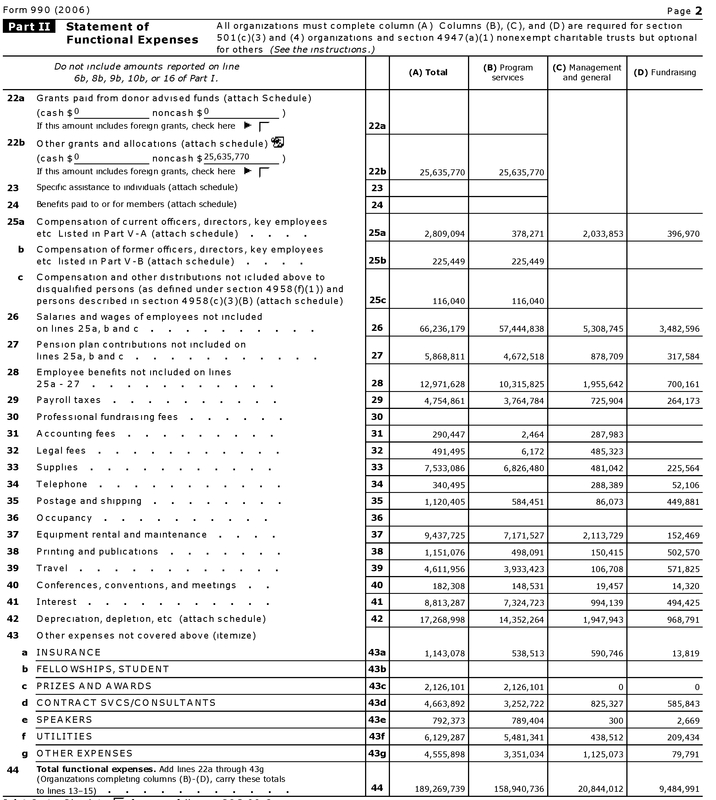 From page 2 of the FY 2007 Form 990 (pdf), we have the most detailed publicly available breakdown of spending at Williams. Click for a larger image or, more conveniently, just go directly to the pdf. Detailed comments below. Did any reader attend last week’s staff meeting with Morty? We hope you will use this site to submit questions for us to address in the two open economic forums for staff scheduled for Thursday, April 9th at 10:30 and Friday, April 10th at 2:45. The submissions, all of which are confidential unless you choose to put your name on yours, will go to members of the Staff Council. They’ll organize them and pass them on to us. To give time for that work, the site will stop taking submissions on April 1st. Thank you for taking part in this important conversation. I don’t think that this meeting was secret, so please tell us what happened. I would be especially curious to know about any promises made (or not made) about avoiding lay-offs. Morty has made a big deal about this in the past, but lead trustee Greg Avis ’80 was less adamant. I think that, unless the College is going to make significant changes in financial aid, lay-offs are inevitable. The secret to firing people is to do it all at once and to do enough so that everyone who is left “knows” that there job is safe. The natural options the timing of any lay-off announcements would be either a) Next week after the Trustee meeting or b) After May 1 (the decision deadline for the class of 2013, or c) Late June, after graduation and reunions. There are advantages and disadvantages for each choice. Think that I am crying Wolf again? Note that Harvard is talking about lay-offs. Harvard University’s Faculty of Arts and Sciences faces a projected recurring annual deficit of $220 million within two years if it does not cut spending substantially and reshape its academic ambitions, Michael D. Smith, the group’s dean, warned yesterday. Smith said that in the next two weeks, he plans to create working groups to help identify further large-scale cuts that could include changes to academic programs and other “intellectual activities” that would reshape the faculty. Staff layoffs may be unavoidable, he said. “I have no desire to do layoffs, but it’s increasingly likely . . . that we will not have as much need for faculty or staff as we have today,” Smith said. Harvard is much wealthier than Williams. If they are planning lay-offs, what do you think lies in our future? UPDATE: Although there are many messy details in measuring budgets, a back-of-the-envelope guess as to Harvard’s planned budget cutting is about 20% (over $200 million out of a $1.1 operating budget). Roughly speaking, that corresponds to a $40 million dollar cut at Williams (20% of an operating budget of $200 million). I was excoriated for proposing $10 million worth of cuts. Where do readers who don’t like those cuts think the savings are going to come from? We can be almost certain that an announcement about early retirements is coming soon. Thank goodness, too, that no one of any significance here listens to anything Kane has to say. His impoverished, economistic approach to the question of what Williams is and should be would produce an arid and stale institution. Also: why does he seem to assume that people here have not already taken steps to address the unfolding economic crisis? Just because they do not tell David Kane what they are doing does not mean they are doing nothing. They are doing quite a bit, some of which will surprise you when you learn of it. I replied to much of this here. Today, I want to focus on the last sentence. What will “surprise” us? First, I don’t know. My sources have been uncharacteristically quiet. If the College is planning a major surprise, I have not heard about it. Second, I don’t doubt Sam. He is a senior professor with many friends and contacts, including some on the Ad Hoc Committee on Budget Priorities. If he claims that there is a surprise in the works, then I believe him. Third, I would be shocked (and upset) if the “surprise” involved changes in financial aid, especially the no-loan policy. Williams is in trouble, but not that much trouble. I believe senior trustee Greg Avis ’80 when he implies that financial aid will be the last cut made. Fourth, I would not be shocked if the surprise were lay-offs. Although Morty promised no lay-offs, the endowment is now in much worse shape than it was in January. Williams has too many staff and a 50 person reduction, via both lay-offs and early retirement would be about the nicest gift that Morty could give to his successor. We heard rumors of lay-offs for after Spring Break. Could dining in Dodd be in the chopping block? You bet. The next big date is the April (this coming week-end?) Trustee meeting. The Trustees will vote to approve the budget. My worry is that the budget is too large, that not enough cutting has been done. If so, I hope that the Trustees reject the budget and tell the Administration to find more cuts. Fifth, beyond that, I am stumped. I outlined the major cost cutting ideas that I (or anyone else) could come up with in this series. (See also this discussion from Jeff.) I would not be surprised to see any of my recommendations announced. But Sam implies (or perhaps I am reading to much into it) that there is something else major that the College could/will do. What might that be? Thanks to Rob White and Brooks Foehl ’88 from the Alumni Office for providing copies of A Report From Williams 2008 and its insert. Normally, this report includes information on the endowment and the budget, but that data was distributed via EphNotes this year. FYI, this is the report that the College sends out each year to Alumni (and parents?). If readers have questions, please ask them. I think that the College does an amazing job with these reports but some alumni find them excessive. I am not sure why they did not include the budget and endowment information in the main Report. I hope that they will next year. I’ll highlight a different aspect of the Report each day this week. In planning budget cuts, our first commitments are to meet the full need of all current and admitted students and then to avoid layoffs. That’s from lead trustee Greg Avis ’80. It is always dangerous to read too much into a single sentence, but Avis is a smart and careful Eph, so here is my take. a) Lay-offs will come before cuts financial aid. Rarely has “then” implied so much. Wow! If you are a Williams employee, this should make you worried. The financial aid budget at Williams is around $40 $30 million. If Avis and/or the trustees is really committed to keep spending at that level, then lay-offs are inevitable. There are a lot of Williams faculty (most? all?) that would rather cut financial aid back to say $30 $20 million (which is what Williams spent just a few years ago) to avoid making $10 million in cuts elsewhere. Since the most important input to a Williams education is the quality of the students, I agree completely with Avis’s priorities. Cut everything else to the bone before you cut a dime from financial aid. b) “current and admitted” is not the same thing as “future.” Avis leaves open the door to changing the financial aid policy for students after the class of 2013.
c) “meet the full need” means different things to different people. Williams met the “full need” of many of my classmates by forcing them to take out tens of thousands of dollars of loans. Is Avis (or the Trustees) committed to a no-loan policy? I don’t know but I hope so. d) Glad to see (consistent with previous reporting) that no distinction between domestic and international students is being made, despite (because of?) Morty’s floating a trial balloon last fall. Swarthmore’s Tim Burke has thoughts on budget cutting at schools like Williams. Swarthmore, like virtually all American colleges and universities, is presently engaged in serious collective scrutiny of its spending habits. The hope in our case and many others is that small, incremental frugalities will head off any need for more drastic measures to control spending. Read the whole thing. There are dozens of faculty members at Williams as thoughtful and observant as Burke. How come (almost) none of them write about Williams? EphBlog is powered by WordPress and delivered to you in 1.460 seconds using 46 queries..